That Shelby County and the immediate area are a bastion of conservative orthodoxy is not in question. It is. One would only have to follow voting patterns (solidly right-wing Republicans) to determine that. Whether that thinking can be questioned is another matter entirely. And I believe the Shelby County Sheriff’s Office has crossed over the line. Sheriff’s vehicles have “In God We Trust” on them. The Constitution of the United States prohibits the establishment of any state religion. Mind you, a Sheriff’s Office is an entity of American civil government. Among other things, employees of that department can deprive a person of his or her freedom just by doing its duty. In God We Trust has no business being on those vehicles. Does that bumper sticker, for instance, imply that atheists need not apply for employment? Don’t take my word alone, of course. I wanted to speak with Shelby County Sheriff John Lenhart, but when I went to the local office, he was unavailable. An official with the department did speak with me. Before I had said much of anything, this man commented, “We’re not taking it (In God We Trust) off.” The Sheriff’s representative was cordial overall and heard me out. I appreciate that. I just wanted to them to know their opinion wasn’t unanimous. You can bet there will be no appreciable backlash from Shelby County residents to the Sheriff’s action simply because the great majority of them would be in agreement. Conservatives, in particular, are very adept at waiving around their Constitutions, until it comes to and issue like this, that is. 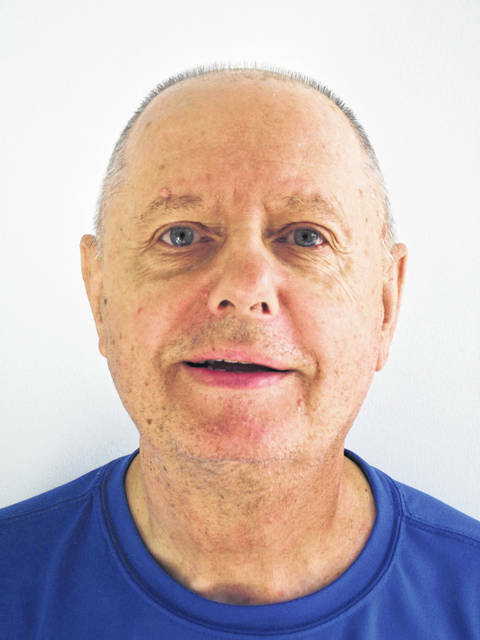 The writer is a former Sidney Daily News sports editor (1973-75), was a Logan County Schools truant officer (1979-2005) and a veteran of the U.S. Air Force in the Vietnam era (1965-69).